The Outreach Commission is sponsoring special attention to the theme of “love your neighbor” for the remaining weeks of the Epiphany season. Each Sunday, we will have a specific “event” on loving a neighbor. Please come to the Olivia House to make Valentine cards. 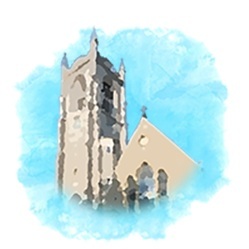 Make some cards to give to any of your neighbors signed from Christ Church Glendale and/or make cards and leave them to be sent out by the Outreach Commission. Cards will be sent out by the commission to shut-ins and elderly in the community. If you miss this week, supplies will be on the Outreach table in All Saints Hall to make cards throughout the month. Let’s surprise our hungry neighbors with cereal! Bring your cereal donations for Valley Interfaith Community Resource Center. Let’s overwhelm them with love! Just bring the cereal to baskets at Church entrances. Please bring socks! Socks will be donated to the Medical Volunteers of Cincinnati to provide to our homeless neighbor after each session of their foot care ministry. All socks are welcomed, but there is a great need for extra-large socks. If you don’t want to shop, drop a cash envelope in the collection for “homeless neighbor” and socks will be purchased and donated. Drop off socks at the Outreach table. Please bring diapers! We will be donating the diapers to Valley Interfaith if needed there or to Sweet Cheeks Diaper Bank. Please bring any leftover diapers. If you are buying a pack, please bring size 4, 5, 6 and pull-ups. If you don’t want to shop, drop a cash envelope in the collection for “young neighbor” and diapers will be purchased and donated. Please bring diapers to the basket at the Outreach Table.